In a large mixing bowl, combine the flour, baking powder, salt, cinnamon and nutmeg. In a separate bowl, combine the banana, egg, vanilla and milk then whisk to combine. Make a well in the centre of the dry ingredients and pour in the wet ingredients. Slowly stir everything together to form a smooth batter. Heat a large frying pan or skillet over a high heat and melt the butter. Reduce the heat to medium and add a ladleful of batter to the pan. 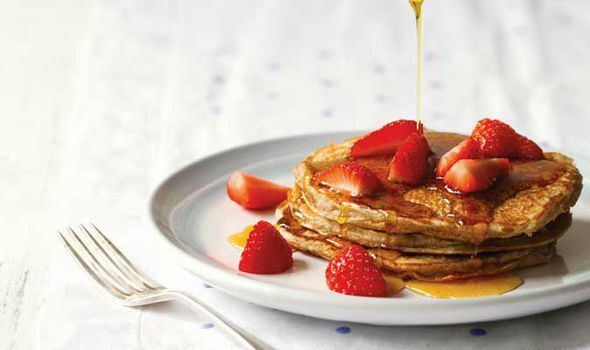 Cook until bubbles start to appear of the surface of the pancake, then flip and cook on the other side for a further minute. You should have enough batter to make six pancakes. Serve hot with strawberries and pure maple syrup. Or why not experiment with toppings? Cherries and yoghurt, or dark chocolate chips both work well. Preheat and grease your waffle maker according to the manufacturer’s instructions. Put the oats into a blender and blend to a floury consistency. Transfer to a bowl with the baking powder and season with salt. Put the banana in a bowl, then add the egg, milk, yoghurt, blueberries and vanilla extract and stir to combine. Pour this mixture over the oats and stir well. When your waffle maker reaches the right temperature, spoon a ladleful of the mixture into each section. There should be enough mixture to make four standard-sized square waffles. Cook the waffles for four minutes, or until golden and cooked through. 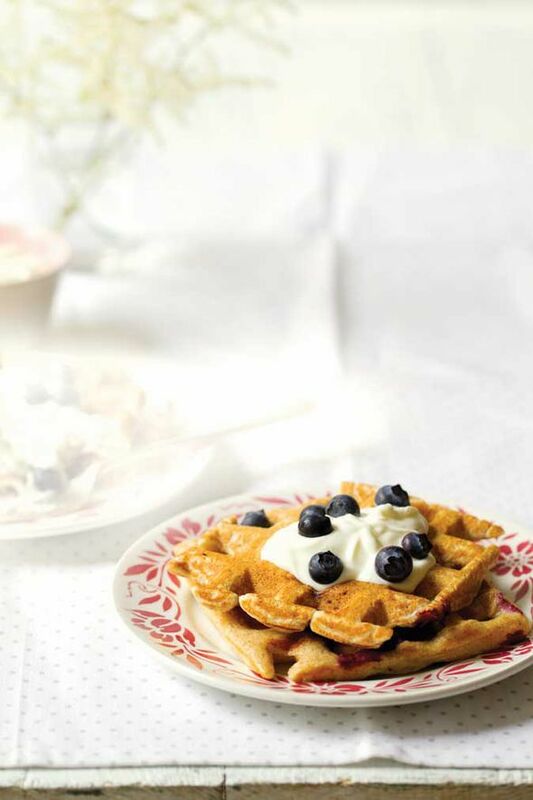 Divide the waffles between two plates and top with a spoonful of Greek yoghurt and a few extra blueberries to serve. 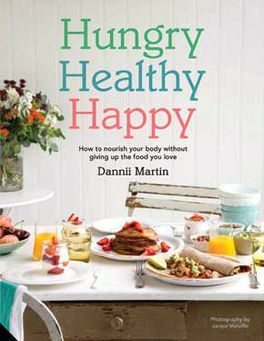 Recipes taken from Hungry Healthy Happy by Dannii Martin (£20, Jacqui Small), photographs by Jacqui Melville. To order your copy, call the Express Bookshop on 01872 562310, send a cheque or postal order made payable to The Express Bookshop to Express Bookshop, PO Box 200, Falmouth, Cornwall TR11 4WJ, or order at expressbookshop.com.